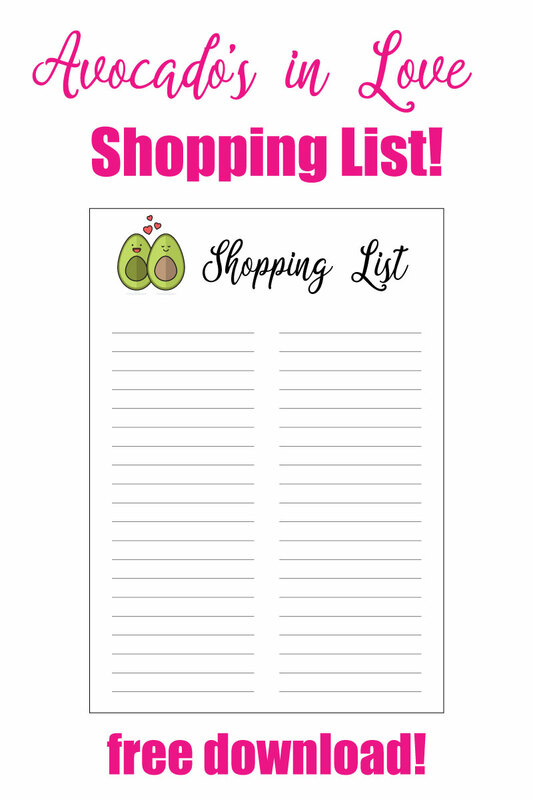 Free Printable Shopping List - Avocados in Love! Hey, hey! Time for a super cute shopping list! I don’t know why but I keep wanting to spell it “avacado” because that’s how I say it. But whether spelled correctly or not, they are still a delectable summer treat. Earlier this month, I created and shared my Avocados in Love Menu Planner. But it was lonely and needed a shopping list to hold hands with. So, here it is! Just for you. Just click the link below to download your free meal planner! Oh, and here’s a little tip I use for my Menu Planner and list. 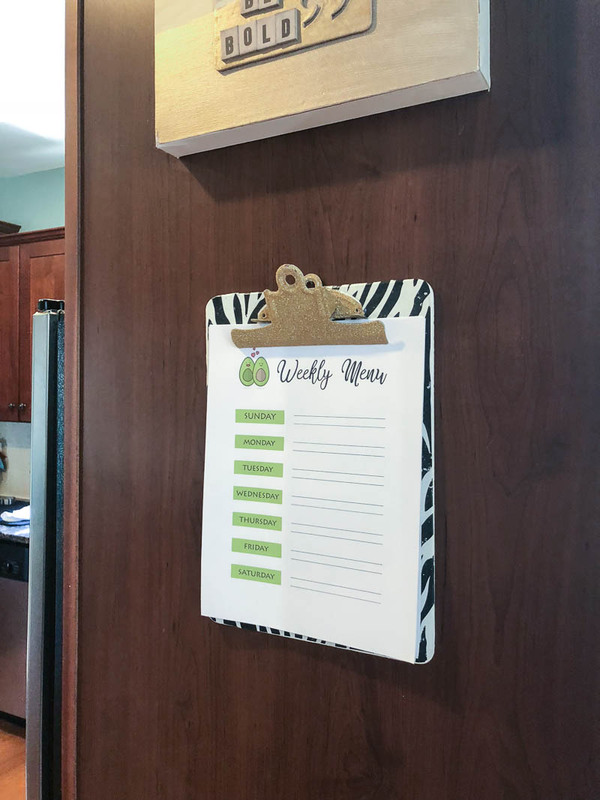 Make your own awesome glittery decoupage clip board and hang it in the kitchen to hold plenty of copies of your list and planner. That way you won’t have to print one out every time you need one! I print of several copies of both the Planner and the List and just stack them on top of each other, using them as I need! It makes menu planning and grocery shopping soooooo much easier. And who doesn’t want those tasks to be easy? I hope you use and enjoy these cute avocados in love! Let me know what you think over on this Facebook Post! P.S. Be sure to grab the Avocados in Love Menu Planner if you haven’t yet! P.P.S. I’ve gone completely Whole Food Plant Based this summer. I’ve struggled with health issues for three years, and this way of eating is healing my body. After two years on Keto, my body was not happy and switching to WFPB is making a hugemo difference. Today was the first day in probably a year that I could walk without foot pain. I’m shooting for sleeping through the night next! Wouldn’t that be loverly?